July 17, 2012 - Jet travel is second nature to us, but not too long ago the Jet Age was a top secret project that fit inside a drab concrete workshop on a back factory lot outside Boston, Massachusetts. 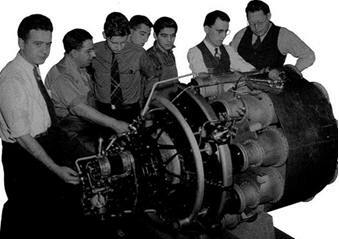 In 1942, exactly 70 years ago, a handful of GE engineers working non-stop for ten months built America’s first jet engine. Their mission was to win the war, but they ended up shrinking the world. “They called us the Hush-Hush Boys,” says Joseph Sorota, who is 93 and one of the last living veterans of the project. Sorota was a 20-year old engineering graduate from Northeastern University when he joined the program as employee No. 5. He had been hired by GE’s plant in Lynn River, Massachusetts, to build advanced propeller engines for high-altitude bombers flying missions over Europe and the Pacific. When Sorota first entered the structure, “there was nothing going on at all,” he says. “It was just a plain concrete building.” But that soon changed. In September 1941, his new team received a present from England, one of the world’s first jet engines developed by British Royal Air Force officer Sir Frank Whittle. Because of GE’s extensive experience with engines, turbines and high-temperature alloys, the Air Force picked GE to improve on Whittle’s design and build America’s first jet engine. Whittle is recognized as the inventor of the jet engine, along with Germany’s Hans von Ohain. They developed their first prototypes independently in war-torn Europe the late 1930s. They did not meet in person until 1966. Whittle was knighted for his work on the jet engine. The teams, aided by Whittle’s blueprints and a couple of British engineers, started working non-stop. There were 15 people on Sorota’s shift. He was building the engine’s air flow design. Occasionally, he would take trips to other secret sites and study engines salvaged from German V-2 rocket bombs that were raining on England. In March 1942, just five months into the project, the engineers wheeled their first engine, called I-A, inside a concrete test cell which they called “Fort Knox.” But it stalled. “We could only run it for a short while,” Sorota says. “We took it apart, assembled it, put it together, and ran tests again. We went on with designing. We designed a new compressor, and that’s when we started to get some efficiency.” In the summer of 1942, 10 months after they started, GE shipped the first working jet engines to the Muroc Army Air Field, in California’s Mojave Desert. 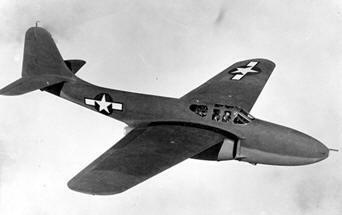 The Air Force strapped them to Bell’s experimental XP-59 aircraft called Airacomet. On October 2, 1942, it climbed to 6,000 feet. The Bell P-59 Airacomet was the first American jet fighter aircraft, designed and built during World War II. The United States Army Air Forces was not impressed by its performance and cancelled the contract when fewer than half of the aircraft ordered had been produced. Although no P-59s went into combat, it paved the way for another design generation of U.S. turbojet-powered aircraft and was the first turbojet fighter to have its turbojet engine and inlet nacelles integrated within the main fuselage. Sorota did not see the maiden flight. Joseph Sorota, 93, was one of the Hush-Hush Boys. 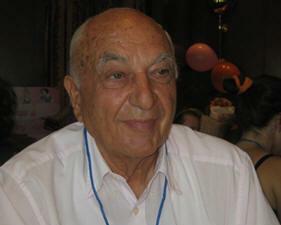 He is one of the last living veterans of the jet engine development project. He was busy at Lynn, perfecting the engines and teaching Air Force mechanics to fix them inside a public school, which the government commandeered for that purpose. In 1945, the Air Force told Sorota to put on a uniform and travel to the Pacific with a squadron of Lockheed’s P-80 Shooting Star aircraft, the Air Force’s first real fighter jets. The Shooting Star was powered by a brand new GE jet engine and became the first U.S. plane to break the 500 miles per hour barrier. The Lockheed P-80 Shooting Star was the first jet fighter used operationally by the United States Army Air Forces. Designed in 1943 and delivered in just 143 days from the start of the design process, production models were flying but not ready for service by the end of World War II. Designed with straight wings, the type saw extensive combat in Korea with the United States Air Force (USAF) as the F-80. America's first successful turbojet-powered combat aircraft, it helped usher in the "jet age" in the USAF, but was outclassed with the appearance of the swept-wing transonic MiG-15 and quickly replaced in the air superiority role by the North American F-86 Sabre. The F-94 Starfire, an all-weather interceptor on the same airframe, also saw Korean war service. The closely related T-33 Shooting Star trainer would remain in service with the U.S. Air Force and Navy until the 1970s and many still serve in a military role or are in private hands.